Add some Americana to your summer table! This quick and easy table runner project features small wool felt stars around larger patchwork stars. This is a great way to use mini charm squares or jelly roll strips! 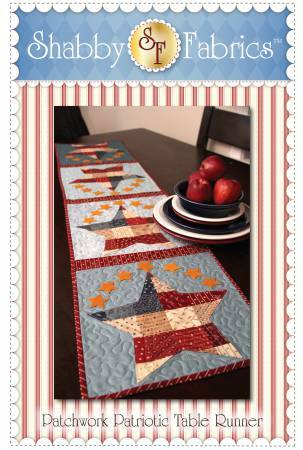 Great to use for a Memorial Day or 4th of July project. Finished size 12-1/2in x 53in.